Sure, it's hot and humid. It is summer. Ok, fine. That is, if you're not living in Australia. But for the rest of us, the summer months call for fun outdoor activities. One of our favourite things to do - with friends and family - is to go on a picnic. It doesn't take much (well, not a whole lot) to have a beautiful set-up so that you can have an enjoyable Sunday picnic. 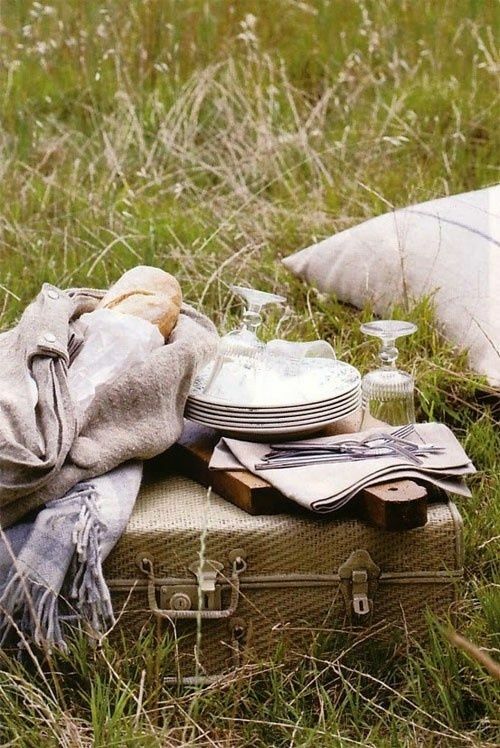 Before even planning what to bring, we like to look for inspirations on the picnic set-up. What sort of theme (if any) do we want? Do we want a picnic basket? What type of mat to bring? And, most importantly, how will it look on Instagram? Good thing, there's pinterest -- the source of every inspiration moodboards. But before we do that, let's set some important things down. 1. Plan ahead. So, check the weather to confirm that the weather holds up. No point having the most lavish picnic set up only to have it ruined by rain. 2. Pack accordingly. Pack according to your needs and the needs of those attending. Of course, you can always run to the nearest convenient store to get the things that you've forgotten but that will sort of dampen the mood. – A comfortable blanket or ground covering to sit on. – A basket or large bag to carry everything else. – Plastic storage containers and plastic storage bags. Both of these items prevent things from spilling, while also keeping food separated and fresh. Tip: To prevent bread items from becoming soggy or too hard, don't cut them up and put in 100% sealed plastic or containers. Instead, try wrapping them in parchment paper. – Plates, forks, knives, napkins, cups and/or glassware, and a cutting board. I prefer using the real stuff over plastic or paper. It makes the picnic feel more special, and it saves the environment. Tip: wrap your glassware and porcelain plates with cloth napkins. The plates can be stacked and wrapped in the blanket or the picnic mat. So, really, you don't have to bring your entire kitchen. Everything can double up as a mode of transporting. If you want a lavish set up and don't want the hassle of planning for it. Here are some picnic planners you can contact. What: Set up by two students, this company offers packed picnic baskets (above) as well as flower bouquets. You can choose between sweet or savoury food, or a mixture of both. How much: Picnic baskets cost between $80 and $120. Picnic set-ups start from $100. What: This company, which organises a weekly weekend brunch and waffle pop-up in Cheong Chin Nam Road, offers packed picnic baskets for a fuss-free meal. How much: Picnic baskets, with food, cutlery and mat included, start at $60, excluding delivery. What: This company offers a packed picnic basket with halal food items and five themes to pick from, such as the chic A Class Act and the bohemian-inspired Bohobo. It can also arrange a picnic based on your personalised theme. How much: For two persons, a basic picnic set-up costs $150; customised themed set-ups cost $220. These include set-up and clean-up costs.A packed basket with no set-up costs $70.